This hand embroidered silk fabric was a thrift find. I initially wanted to make a bag with it, but I couldn't find myself to cut into the fabric. So instead I created this skirt pattern that works perfectly with this standout fabric. The good thing is the edges were already finished and therefore took me about 30 minutes to make. You can make this with any type of fabric and length. Think quilted leathers, tartan wools, or tweed fabrics for the fall. Pair with some tights and it's great for the holidays. You will need a strip of fabric that is the length you want the skirt. Start by finishing both the top and bottom edges. This is similar to this post in case I missed a few steps. Begin by wrapping the skirt around your waist as such. Start on one hip and wrap all the way around to the front where you want the zipper. Mark with pins the point where the zipper will be. Start by sewing the zipper along one of the edges. I just folded the edge over 1/4 inch and top stitched it right along to the bottom hem. To find where to aline the other side of the zipper use this step here. 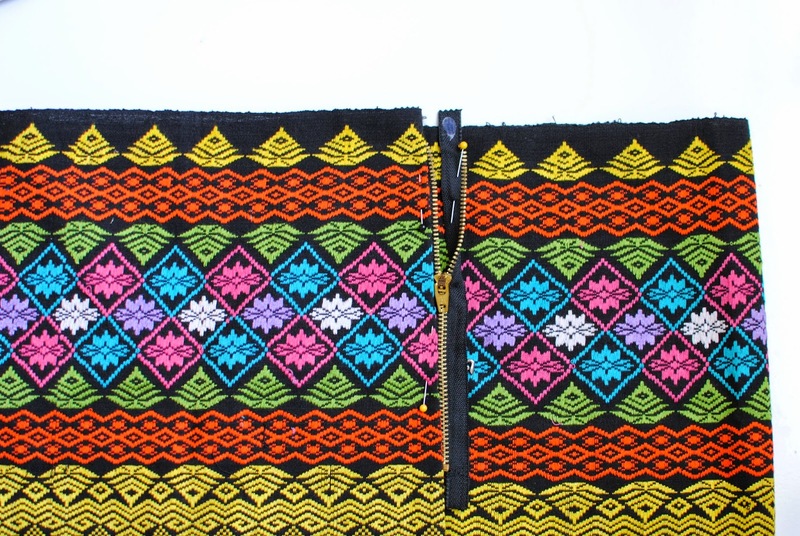 …or flip the zipper right sides together and sew. It gets tricky at the bottom, just move the zipper up as you sew. Now once the zipper is placed you will need to fix the gapping in the back. 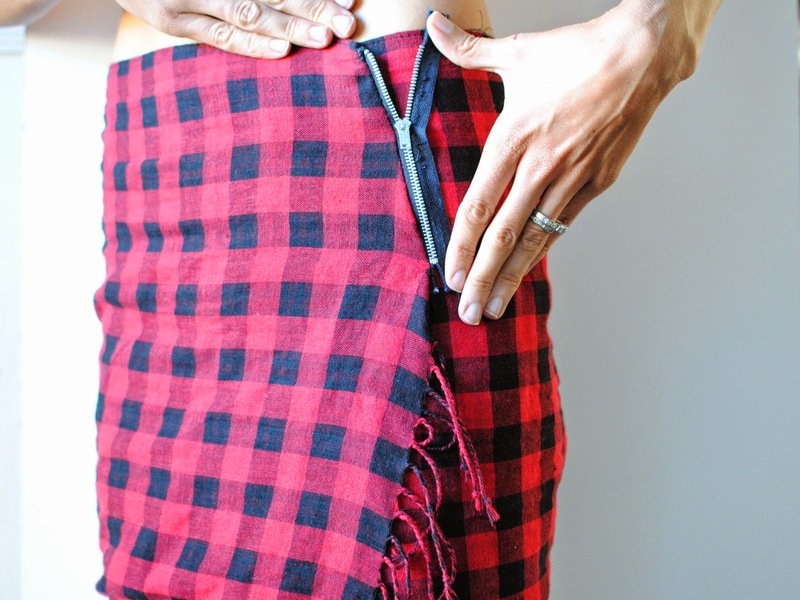 Flip the skirt inside out…Fold darts evenly along the back as shown by the pins. You will have to measure these yourself. I'd suggest pinning them with the skirt on to get them right. Make sure the zipper is where you want in the front by alining one the darts with it. Baste stitch the darts to make sure it fits and then sew over once you get them right. just simply amazing ! Thankyou. What a pretty and unique skirt! It can be so difficult to cut into beautiful fabrics-- you did a wonderful job! Saw this on Pinterest and I cant just leave your blog without commenting. Your rock this one! Im a new fan. ;) TFS. What a incredible refashion! 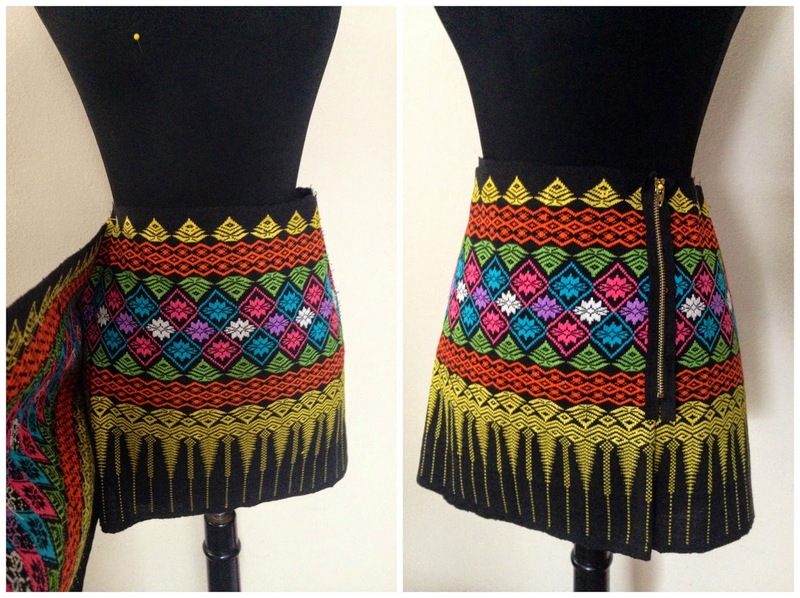 Love the diy of zip skirt. Really useful instruction. Thumbs up for the post. beautiful skirt. Look at www.bandjfabrics.com for amazing and unusual fabrics. They ship worldwide. I found your blog when searching on Google. This is really great post Laura ! What a incredible skirt that is, you are looking awesome. Look very nice. I like your diy zip skift in your post. Thanks for sharing. I love it! !It's suitable for wearing everyday. Wow...you just wrote a post of my flavor so i want to thanx for it a lot. It’s been pleasure reading it. They’re really convincing and will certainly work. Still, the posts are very quick for novices. Amazing article and valuable information because of helpful for me, thank you so much for share this wonderful article.